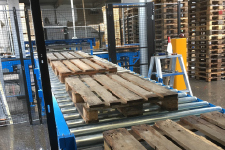 A unique time and cost saving solution with which no less than 30 different types of pallets can be sorted by just one employee. 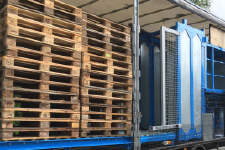 CekamonSaws also developed an innovative mobile sorting platform, which includes a highly efficient sorting system for Euro pallets and other pallet types. 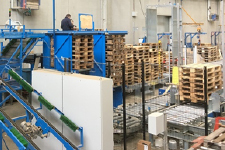 New is this combination of a sorting line and sorting platform including automatic sawing / disassembling of broken pallets by the saw robot, an innovation from CekamonSaws.